The 2017 flying season is fast approaching, and before things get too busy, we took the opportunity to hold a crew seminar. 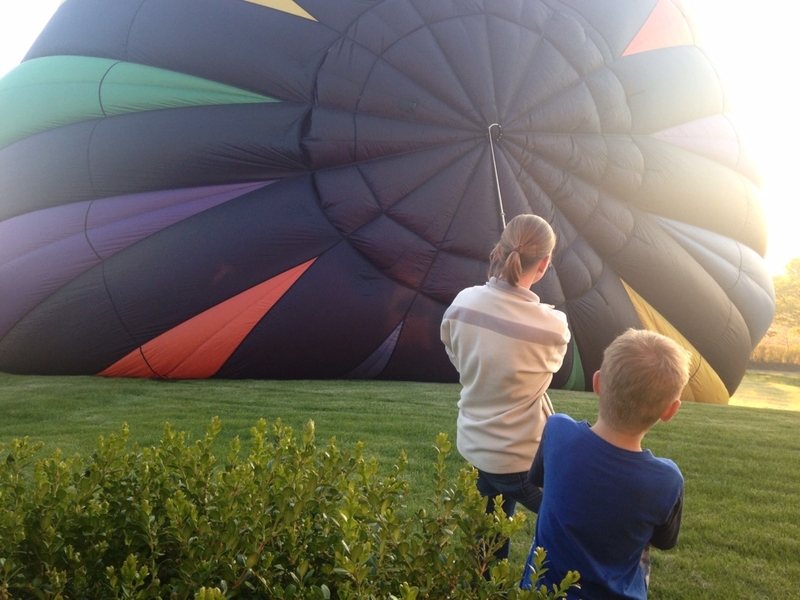 Well-trained, dependable chase crew is essential to successful balloon operations. Many in attendance are experienced and have been chasing for many seasons, and others are brand new to the sport. 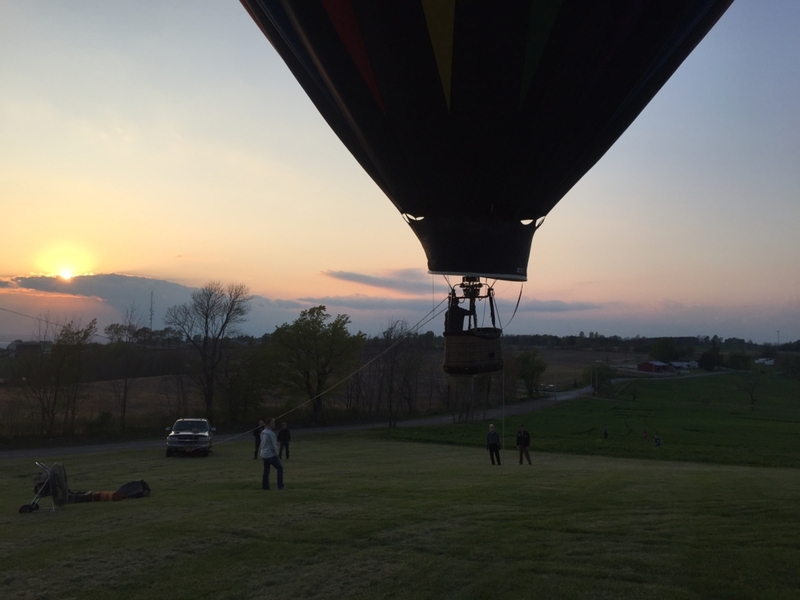 Some had never seen a balloon launch before! As is true with many aspects of ballooning, the basics of crewing and chasing are simple: assist with inflation, follow the balloon until it lands, help us pack it back up, take the passengers back to the launch site and then find a local diner for breakfast. But there’s so much more than that! Any aeronautical endeavor carries risks and must be approached with respect, training, expertise, and a healthy dose of good judgement. 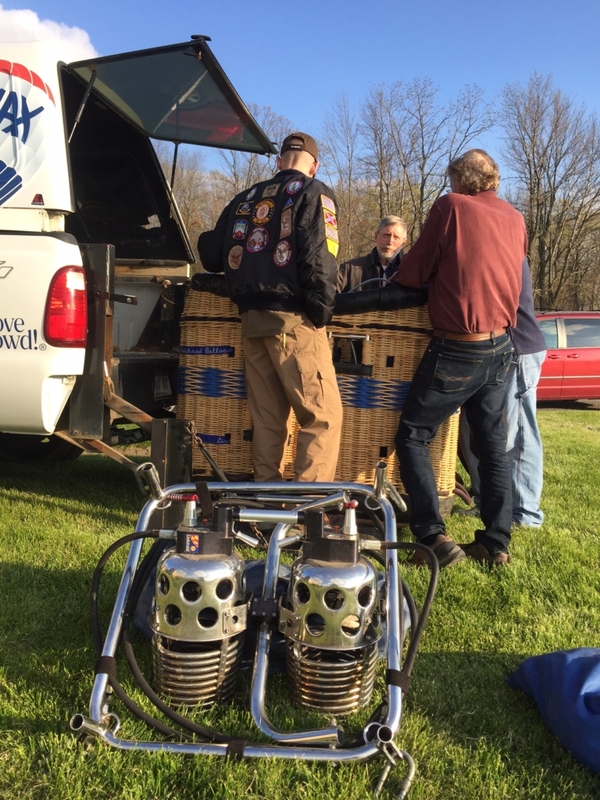 Pilots rely on chase crew to physically handle the equipment, drive the chase vehicle to meet the balloon at the landing site (balloons can’t steer, remember?) and assist with passenger communication, weather observation, landowner relations, and a variety of other tasks that when done well create an outstanding experience from start to finish for all involved. Our seminar today started with an indoor, classroom style session where we reviewed the essential tasks of crew members during inflation, the chase, and final approach/landing. 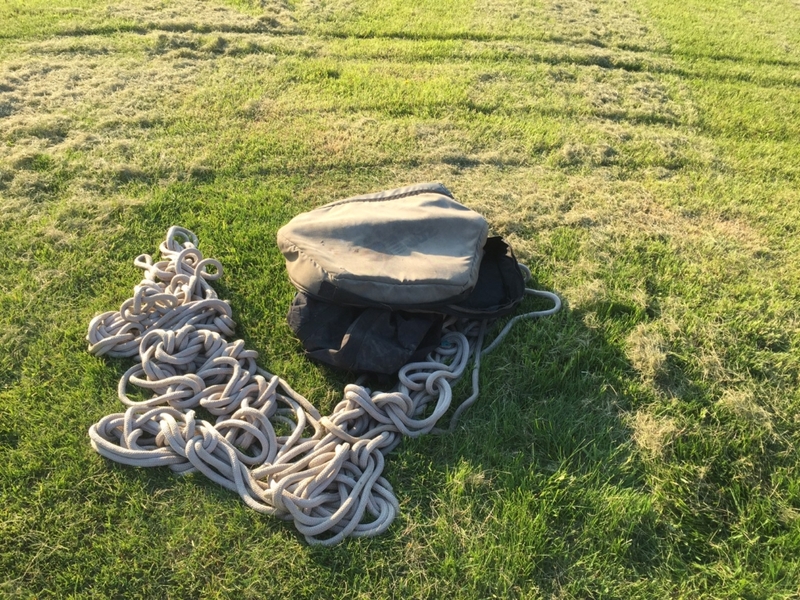 We covered a variety of topics including handling ropes and lines, weight and ballast, positioning on final approach, situational awareness, communication, checklists, propane, landowner relations and many others. 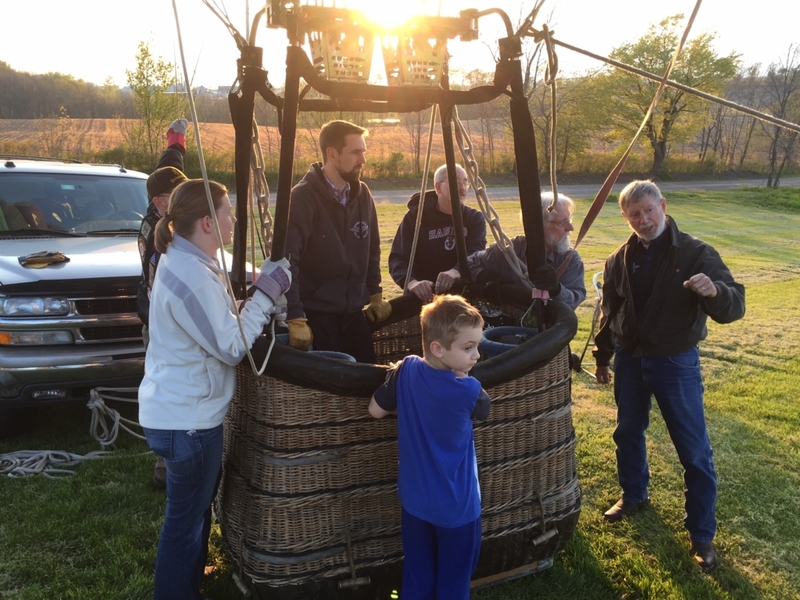 Afterward, we were blessed with beautiful calm weather and were able to take out the balloons and offer some hands-on training, practice setting up the baskets, position the chase vehicles for tie-downs, review proper propane handling, and then inflate the balloon and tether for a while. Some ambitious trainees even got some burner time! 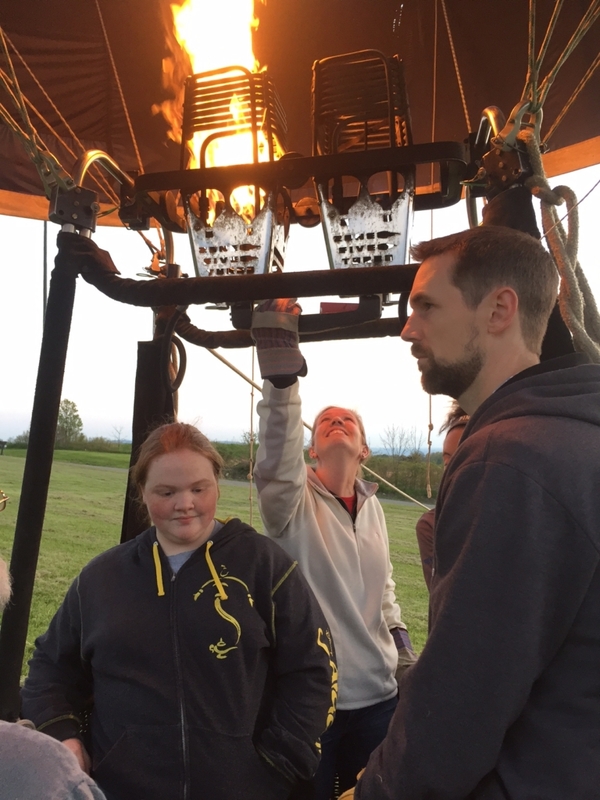 We plan to offer more sessions like this in the future not only to provide training, but to give both new and experienced crew members an opportunity to hang out together, ask questions, exchange stories and adventures, and give us feedback. 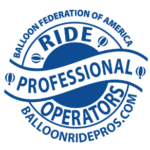 If you are interested in attending a crew seminar in the future please let us know…we’d love to welcome you to our family of balloonatics! Owen and Jen working the crown line. 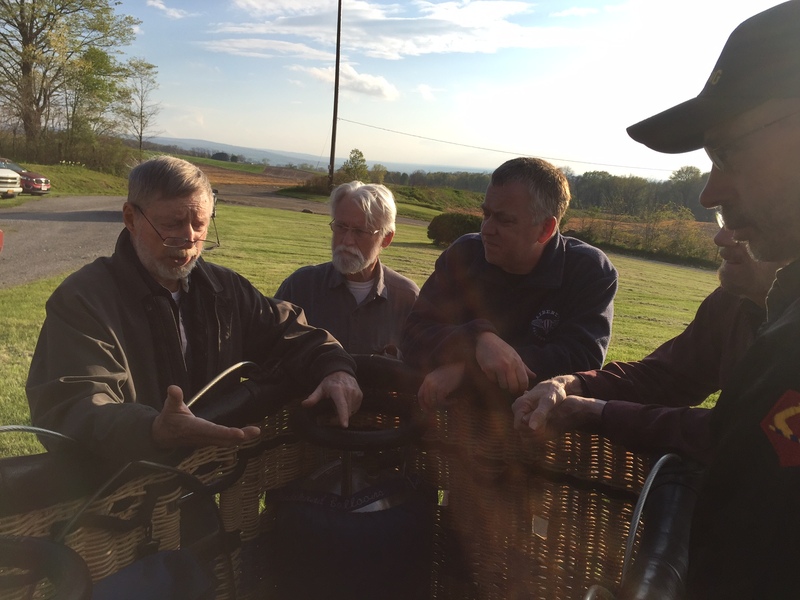 Carroll gives a lesson on basket assembly and propane management. Ropes. Ropes. Ropes! 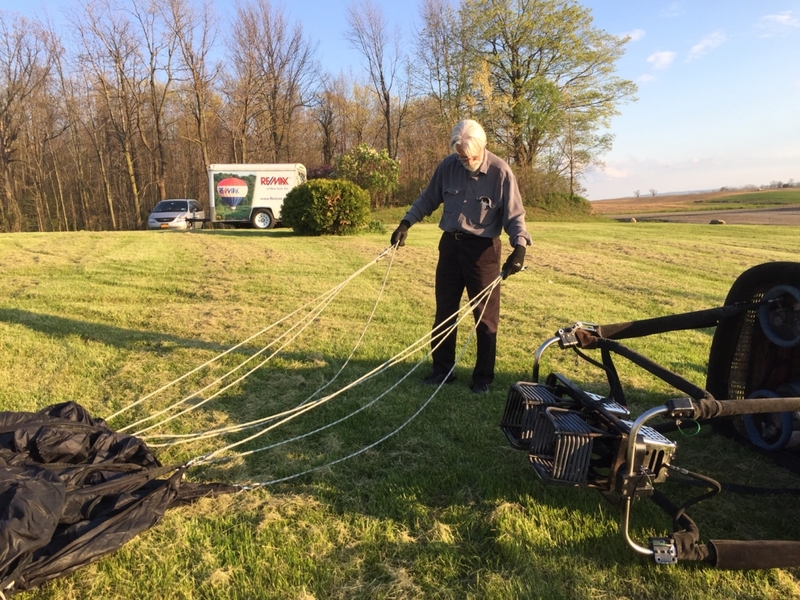 Balloonists use a lot of rope. Bob is only *mostly* sure these cables aren’t tangled. Anyone who has ever unpacked an envelope after a long winter knows how he feels. “Don’t stand in front of a moving basket” instructs Carroll. It can smush you. 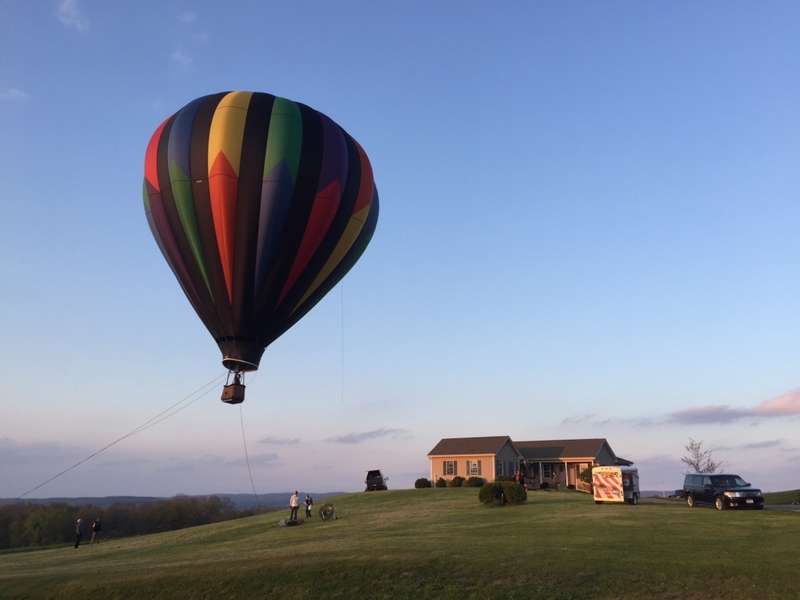 We fly all over the Finger Lakes and Western New York. But there’s something special about flying over your own house!